AMD has launched their first WQHL-certified Catalyst graphics card driver update since December 2014, bringing a heap of new features and performance updates across the board, as well as the usual array of bug fixes. The Catalyst 15.7 WHQL drivers bring a range of existing features to older Radeon graphics cards. 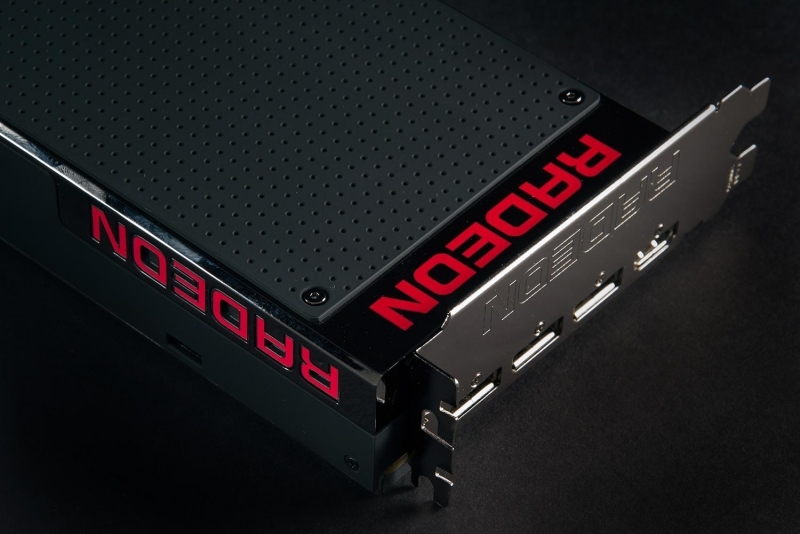 Frame Rate Target Control, which allows you to limit the maximum frame rate output of a GPU to reduce power consumption and temperatures, is now supported on all GCN-based cards higher than (and including) the Radeon R7 260. Virtual Super Resolution is also now available for the R7 260 and higher, as well as AMD's A6-7400K desktop APU and higher. For those looking at purchasing a FreeSync monitor, the Catalyst 15.7 driver now supports AMD's adaptive refresh rate technology on CrossFire systems. CrossFire compatibility itself has also been improved, now allowing users to CrossFire a Radeon R9 290X with an R9 390X, both of which are essentially the same GPU. As for performance improvements, AMD claims users with older graphics cards should see some gains compared to both the 15.6 beta drivers and the older 14.12 WHQL drivers. AMD also lists some new CrossFire profiles included with this driver, although many of these profiles have been added in previous beta drivers. Alongside releases for Windows 7 and 8.1, AMD has also released a version of the Catalyst 15.7 drivers that supports Windows 10, WWDM 2.0 and DirectX 12. AMD has labeled this driver a "technical preview", with official support to come when Windows 10 launches on July 29th. To update to the latest Catalyst 15.7 WHQL drivers, either get the Catalyst Control Center to update the drivers for you, or grab a manual installer from our driver download section. AMD really needs to step up their game when it comes to WHQL drivers. more than 6 months! no thanks. at least every other month would be great. Yes,let them throw money at Microsoft for a title so people like you can be happy that they have a "official" driver. Paying for WHQL certification totally makes drivers better! Look at Nvidia, their WHQL drivers never did things like stop fans and fry GPUs, or cause constant crashes on Chrome, or anything like that, did they? atlasica and SuperVeloce like this. WHQL is a racket ! Which is exactly why AMD released a version a few weeks early. They want mainstream usage to test for problems before Windows 10 release. nVidia uses constant driver releases as a marketing ploy. Seriously!! Until last December AMD paid for WHQL just about as often as nVidia. There is no marketing ploy in consumer support that has been the norm for decade. AMD is the one that made change not nVidia. AMD is the one that decided their money was better spent elsewhere. I have no ill feelings toward AMD for doing so, but how you can have for nVidia is completely mind blowing. but how you can have for nVidia is completely mind blowing. Maybe it's because of the false advertising about product specs that they got to get away with. Or abandoning customers of all previous architecture except the most recent one on driver optimizations for new games, like The Witcher 3 and Project Cars. Or the fact that they use their proprietary GameWorks program to add closed-source code to games that not even the developers can view or modify, and then use that to deliberately make performance on the competiting products worse. Or that they try to shove their proprietary standards down everyone's throats instead of adopting the free, universal ones that are also available to them. Everything you mentioned has nothing to do with nVidia purchasing WHQL certification as a marketing ploy. Which is what I'm confronting not what you just mentioned. Lionvibez and BMfan like this. Why are the AMD fanboys always so defensive, it's like small dog syndrome. They defend AMD at all cost. They are both as bad as each other. Nvidia lock competitors out with gameworks yet make better hardware, whereas AMD make generally inferior hardware but use open source. You pay your money and you take your pick. I will never understand why you so adamantly defend a company who soley exists to make money from you, as do all companies. Do you defend the maker of your washing machine or TV in the same way? Probably not, so why AMD? What makes them or Nvidia so special. You have X amount of money to spend, you get yourself the best deal you can. To hell with brand loyalty, Apple has made hundreds of billions out of peoples brand loyalty. Dookii and amstech like this. nope indeed, amd drivers did tho.